After 5 weeks of basebuilding, the Sunbirds arrive to Parkland Green, ECP for the start of Pace training in Week #6. The haze was kept at bay for most of the morning, allowing us yet another opportunity to get our much needed long pace run in. Because of the Newton Challenge the following day, there were less Sunbirds as many were resting for a good Newton race. 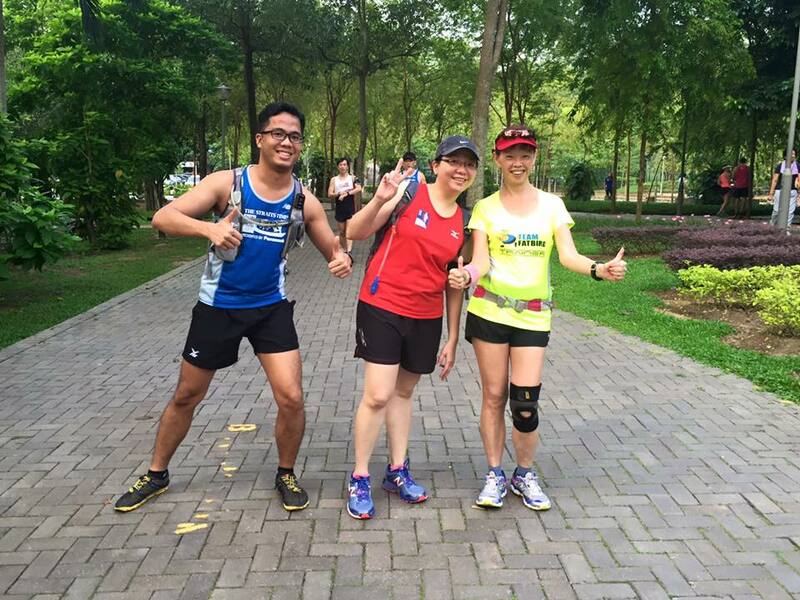 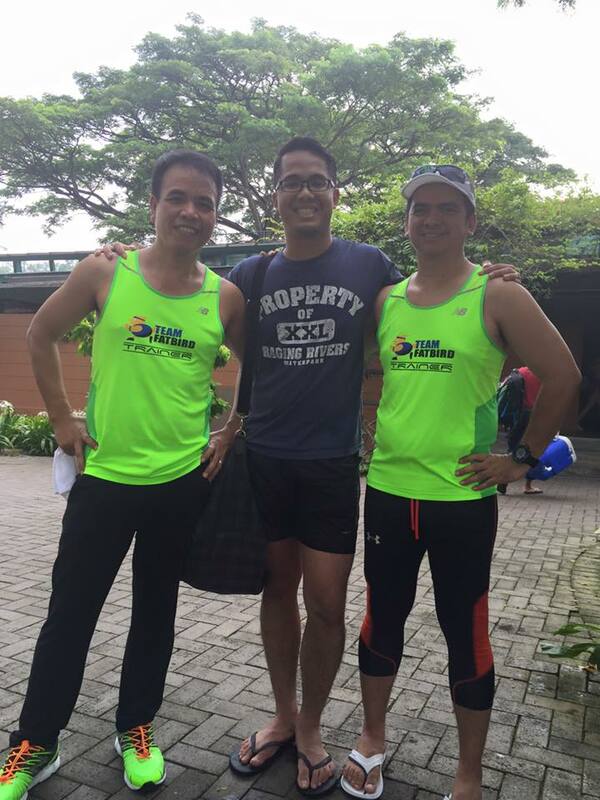 Still, for the many of us who are training for SCMS, we welcomed the clearer air with glee. 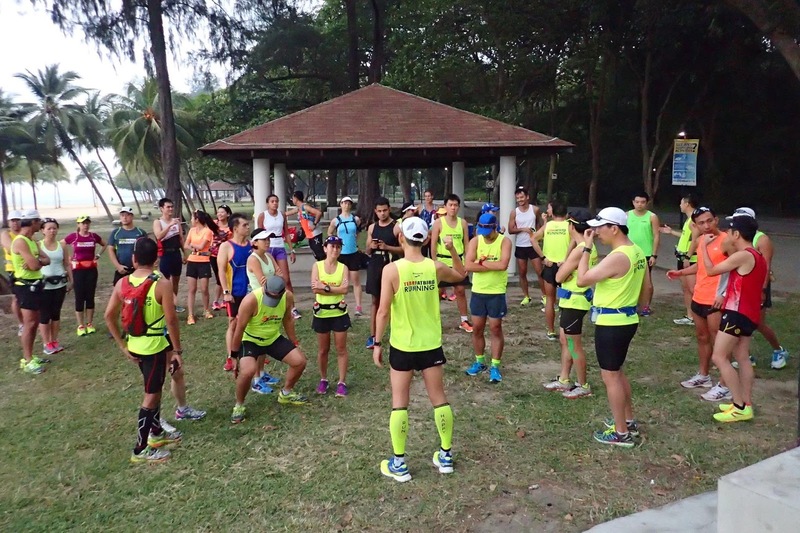 The route briefing was short as we wanted to get down to start running before the haze turned against us. The first part of the run was a tad faster than Marathon Pace (MP), mainly due to pent-up energy levels in the run-deprived Sunbirds. It was rather cloudy as we ran into Gardens By The Bay, but the psi was mostly at the 100 levels and the air did not feel that bad. Still, a few of us were cautious in our breathing, although it could be more mental than physical effects we were experiencing. 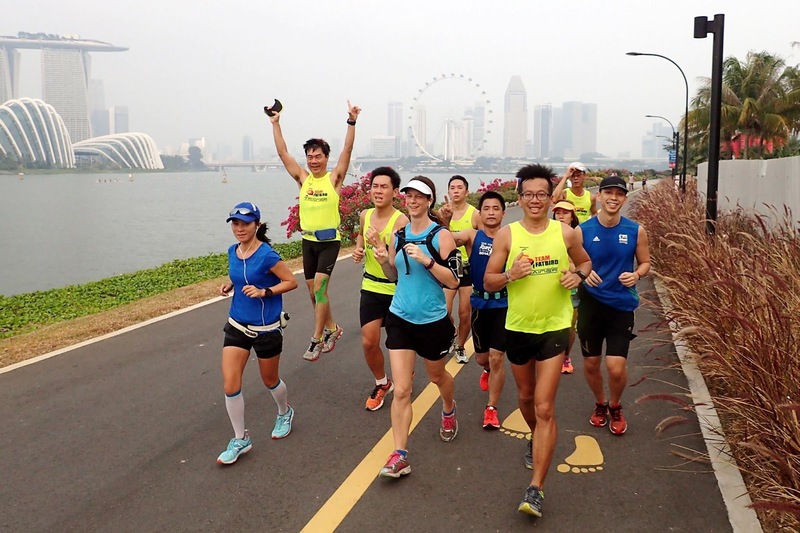 The Half Marathon (HM) Sunbirds turned back at the Helix Bridge, whilst the Full Marathon (FM) participants proceeded on to the Marina Promontory before looping back to run back to Parkland Green. 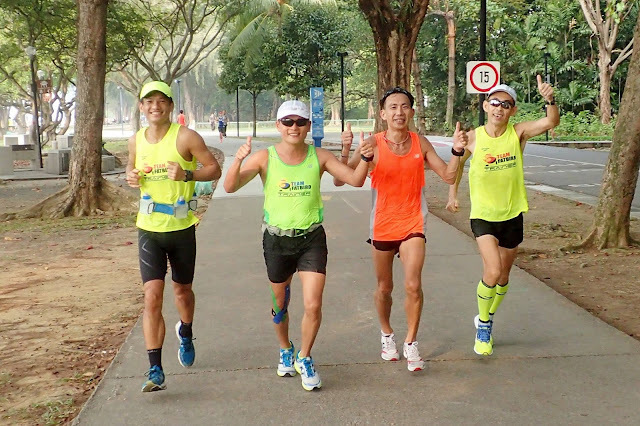 The OSAKA-bound marathoners completed a shorter 16km run, along with the HM Sunbirds as they are tapering for OSAKA Marathon next weekend. 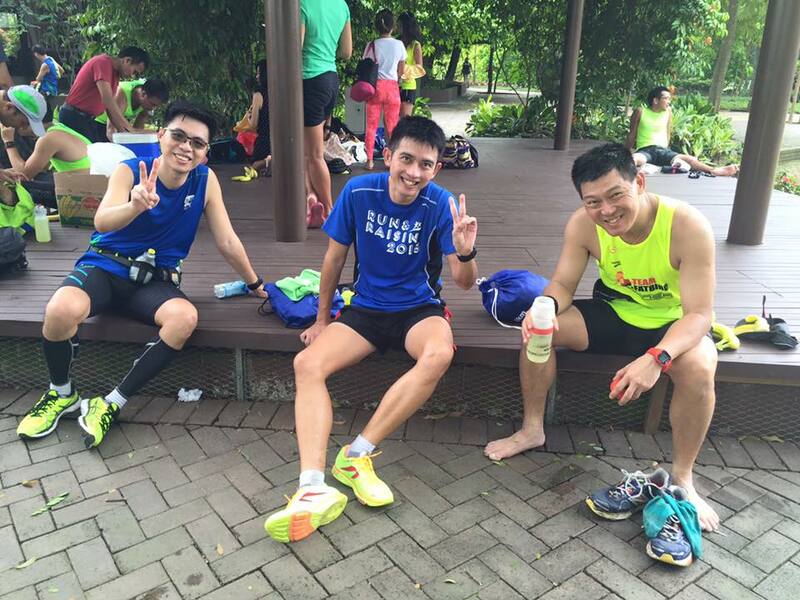 Those who were to do Newton Challenge also did a shorter run just to keep the engines warm for a good race on Sunday. A handful, mainly in Groups 1 and 2, with a few more from Group 3, went on farther to F2 and PA Campsite before turning back for 30km and 28km respectively. 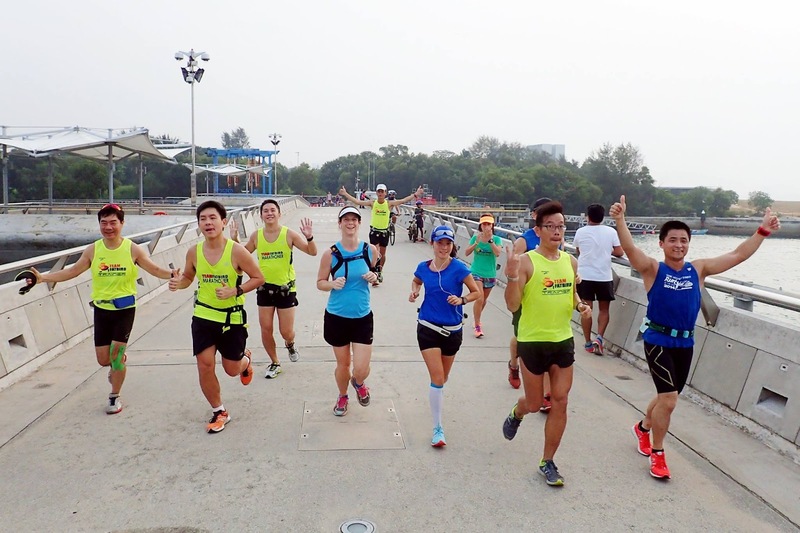 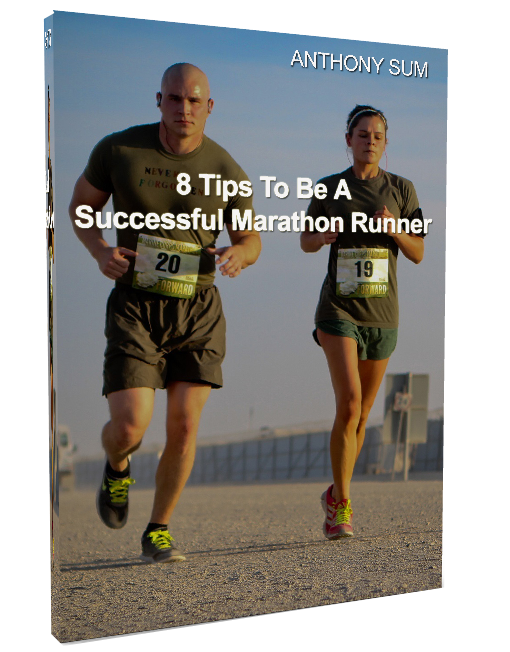 Marathon Pace or slightly faster was maintained by most groups, testimony to the foundation and base of the trainees who have strengthened over the past few training sessions. 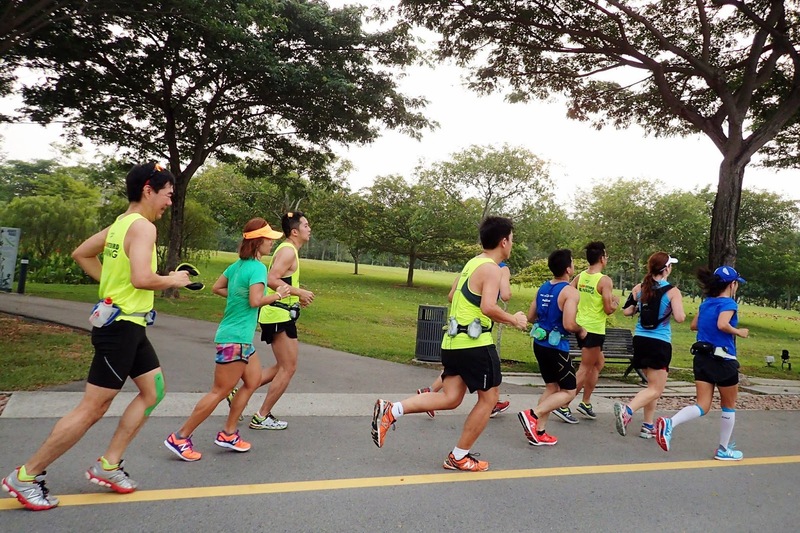 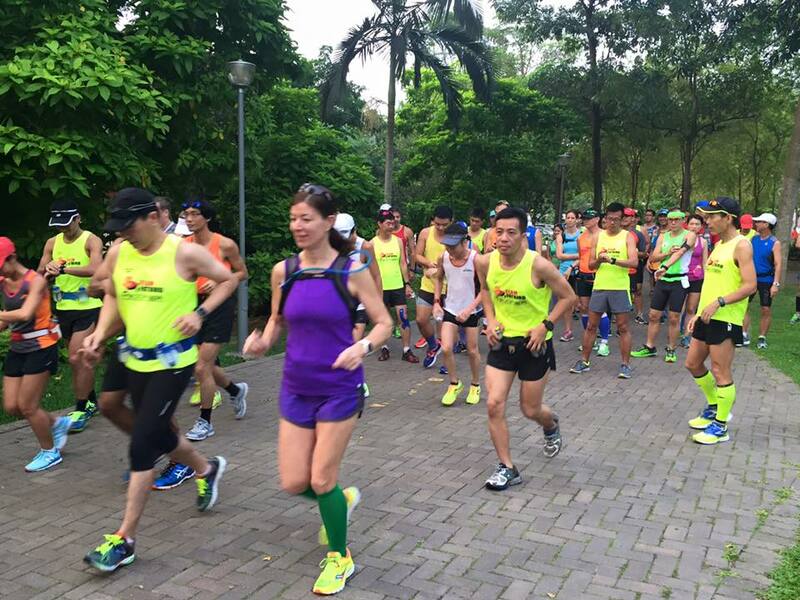 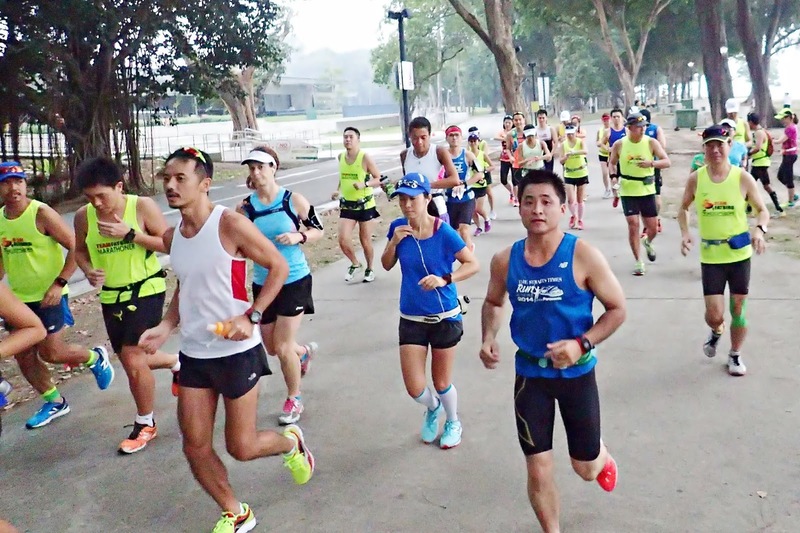 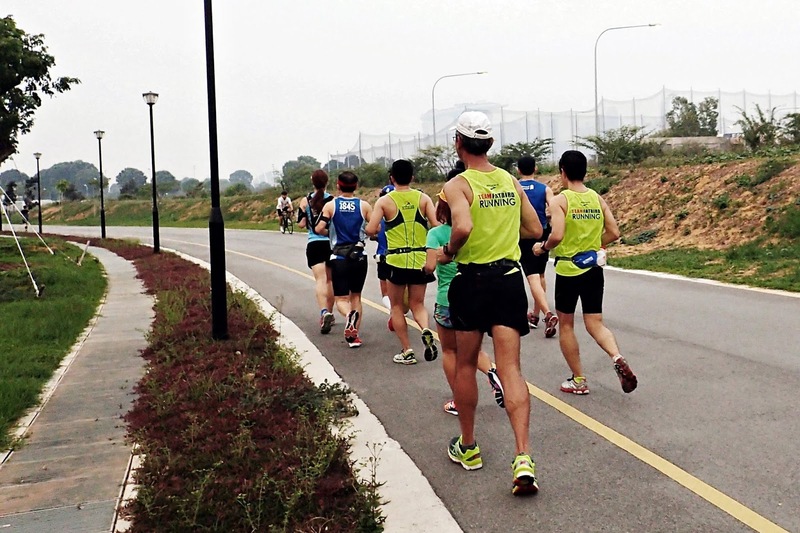 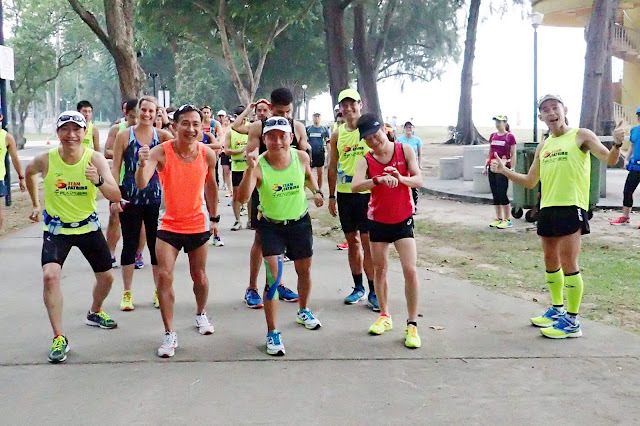 There weren’t the usual large groups of runners at ECP, mainly due to the haze bordering on moderate levels, and possibly trending upwards by late morning. 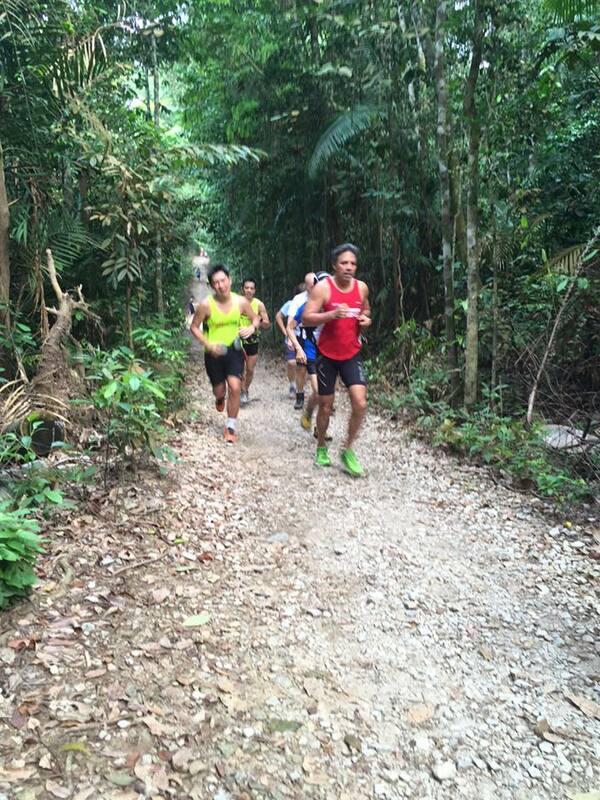 That allowed us more free range of access along the pathways, making pace running a lot more smoother. 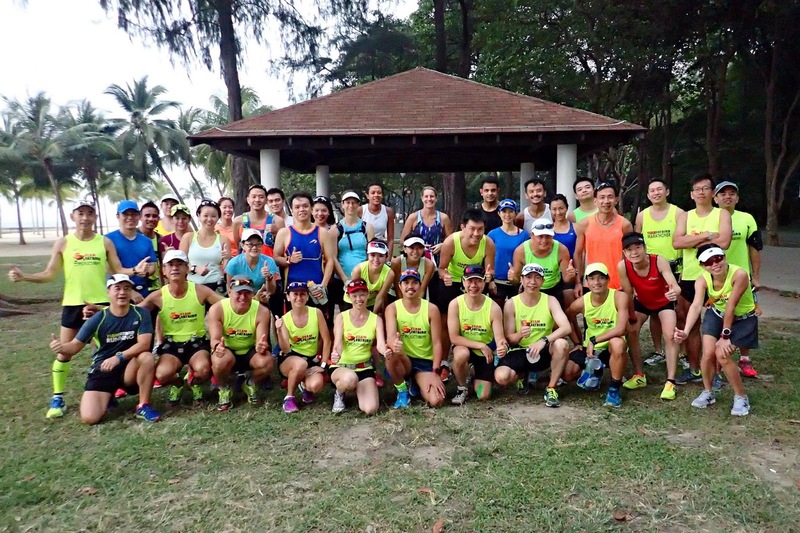 All Sunbirds with their Group trainers and pacers returned by 10:45am, allowing us to finish training on a positive note and well within regulation time. 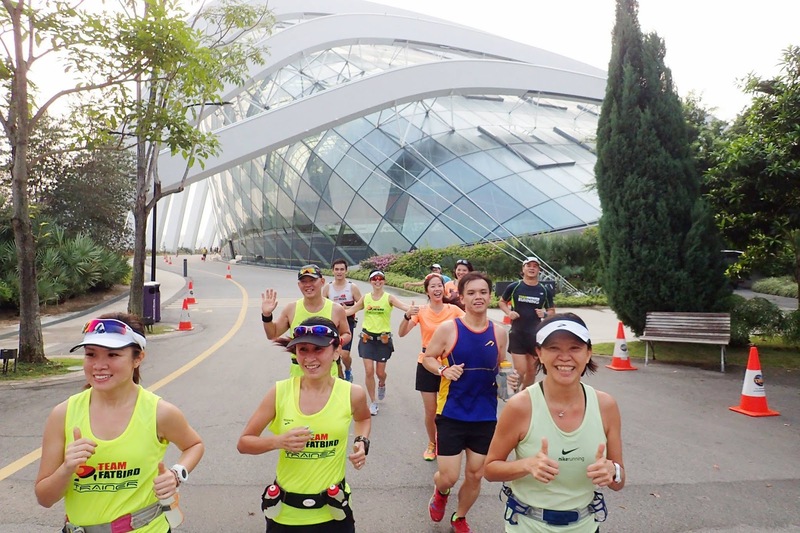 Many of us were pleased to be able to get our pace training run in, and were already looking forward to the following weekend’s run at Sports Hub. 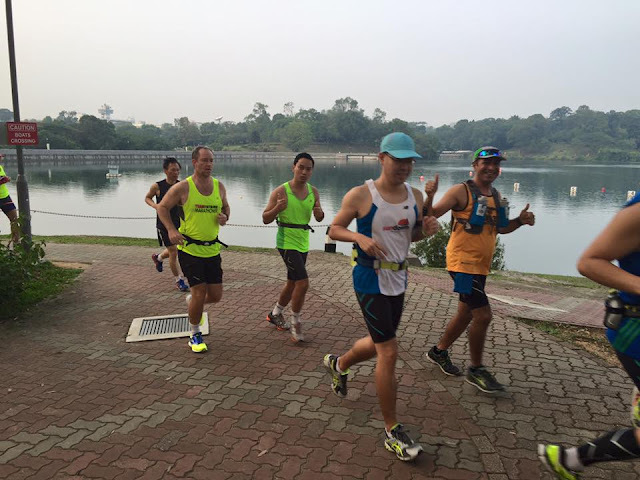 Weekend #5 was yet another good day for training as the haze levels were kept at bay, allowing the Sunbirds to complete their Basebuild Phase at the trails and slopes of the Reservoir terrain. 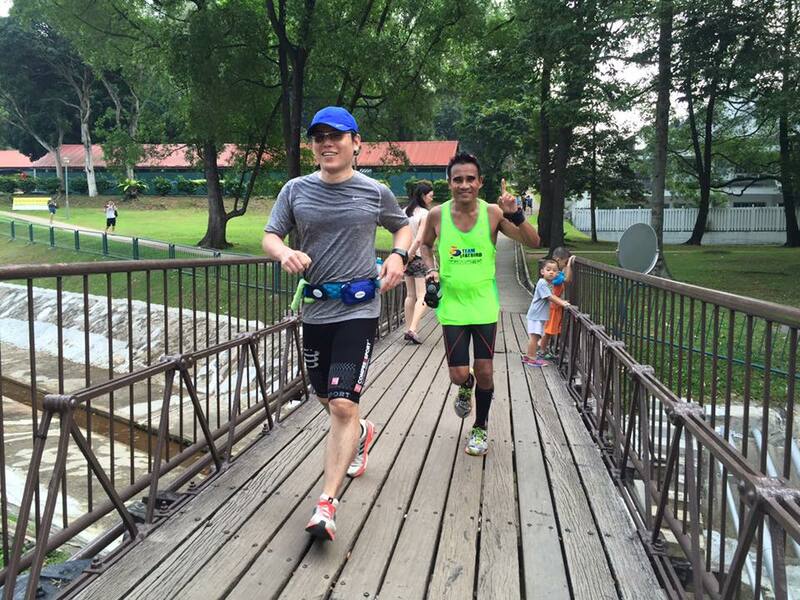 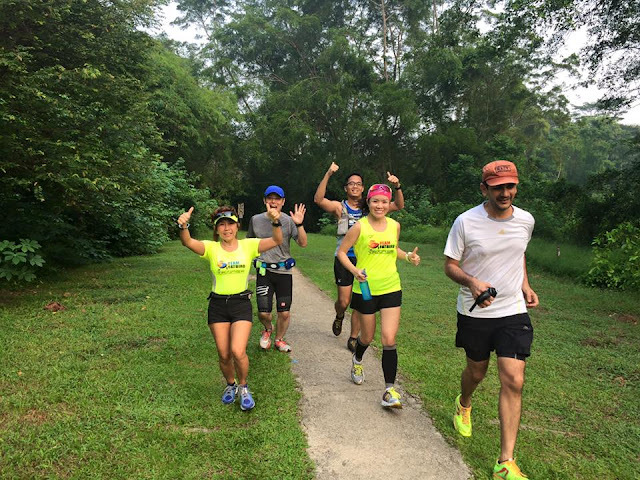 The group started off from MacRitchie Reservoir Park after a quick brief, and immediately proceeded along the Northern Trail @ MR in their respective pace groupings. 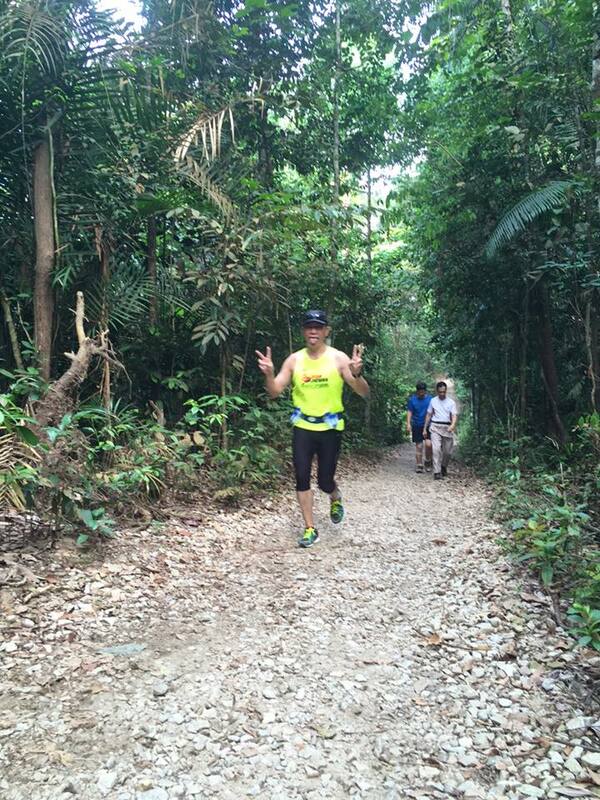 We had a slight change of the route after Northern Trail to skirt past the private road of SICC via the 1.5km Venus Trail. 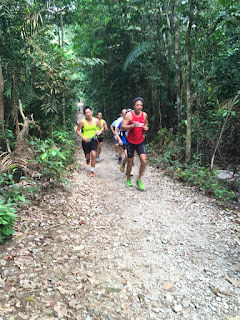 This trail portion made the overall workout a tad challenging as we normally would run along the concrete road which was a lot smoother. 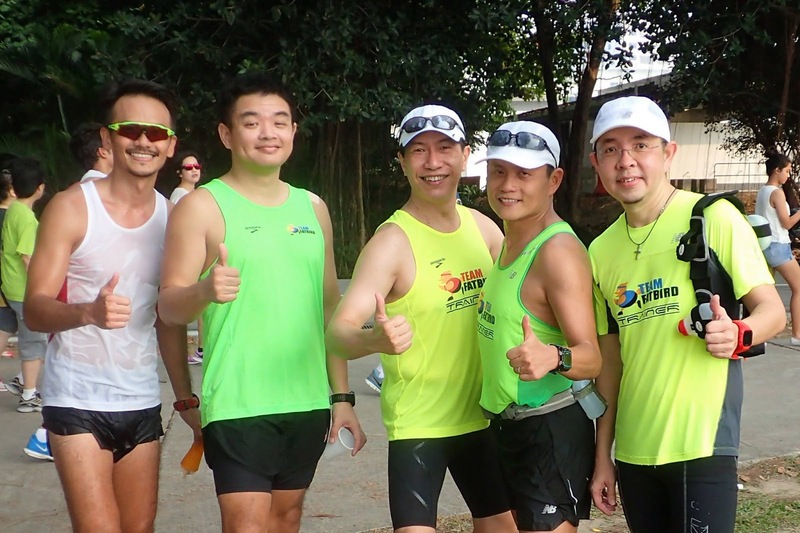 Still, all the Sunbirds were able to keep to their respective Basebuild pace, and if anything, most were running closer to Marathon Pace. Once into Lower Peirce Reservoir road, we were back in familiar territory. 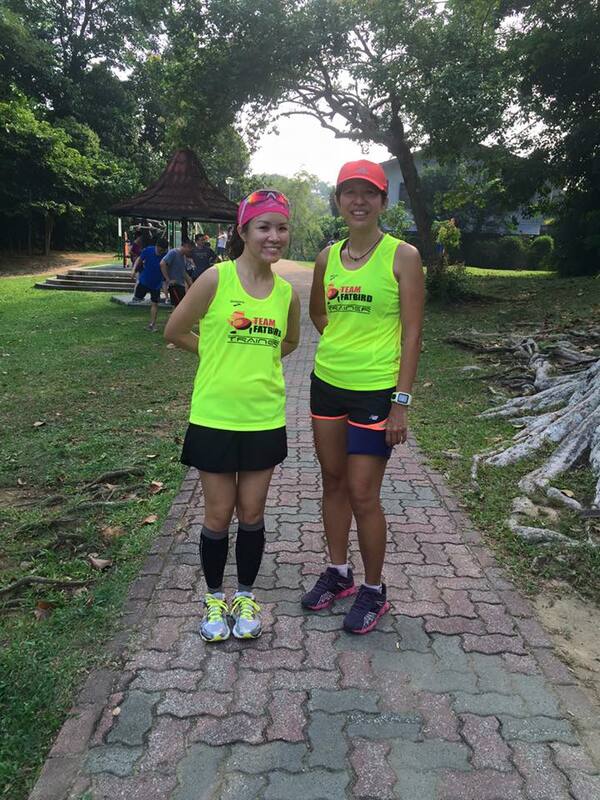 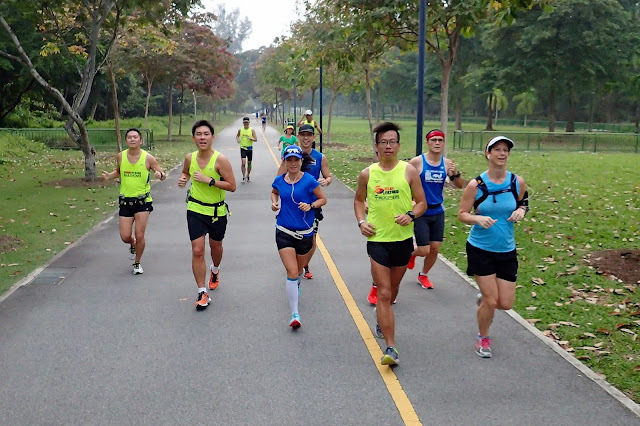 We headed towards Casuarina Road and then Old Upper Thomson Road (OUTR) before the Half Marathon (HM) groups turned back for their 15km requirement of the morning. 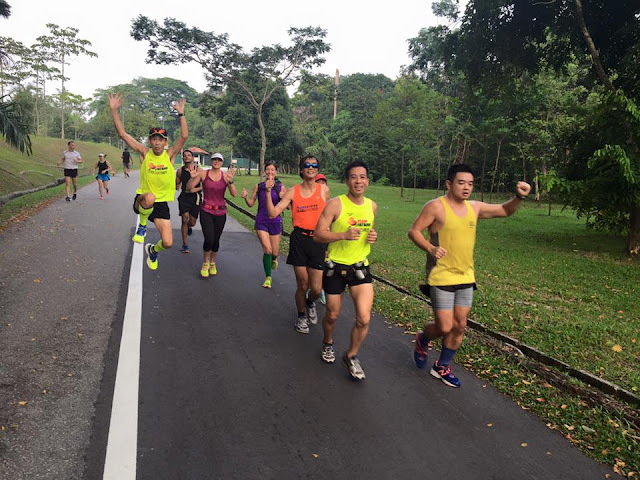 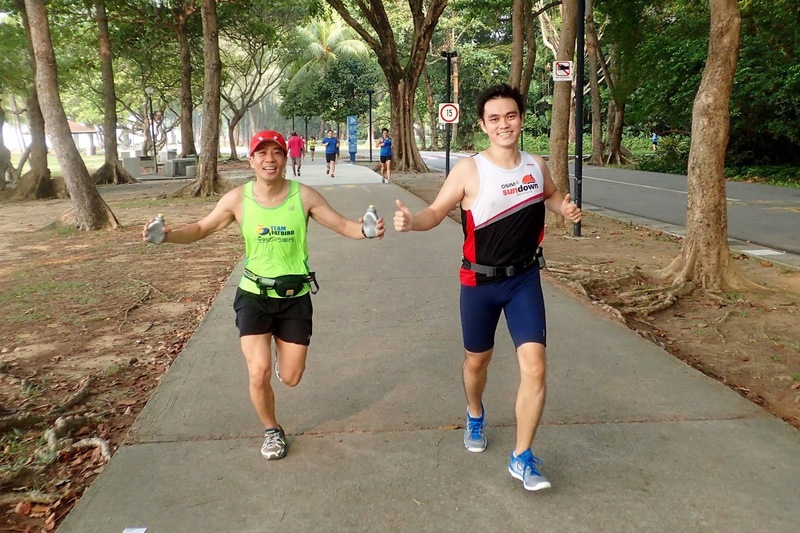 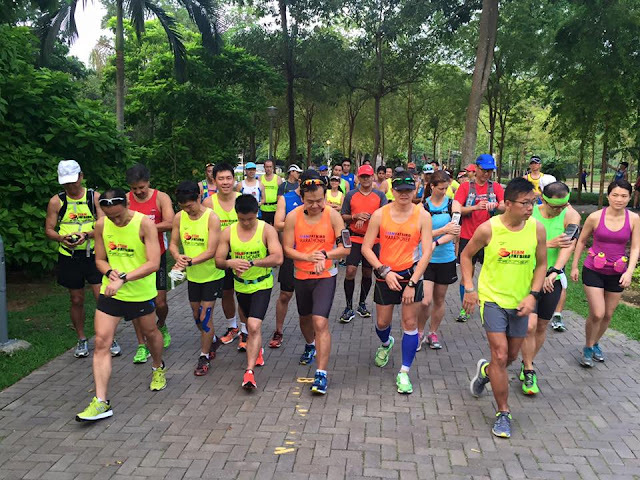 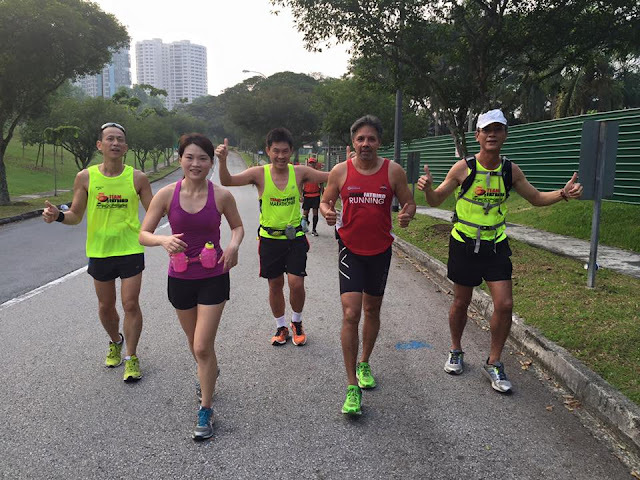 The Full Marathon (FM) groups proceeded into the rolling slopes of Upper Peirce Reservoir Road to 2 sets of tough hills run, which most of the trainees fulfilled to the trainers’ satisfaction. Once the mental ‘distraction’ were out of their minds, the trainees performed very well to overcome any imaginary obstacles that they might have envisioned before plucking the courage to sustain the good effort. 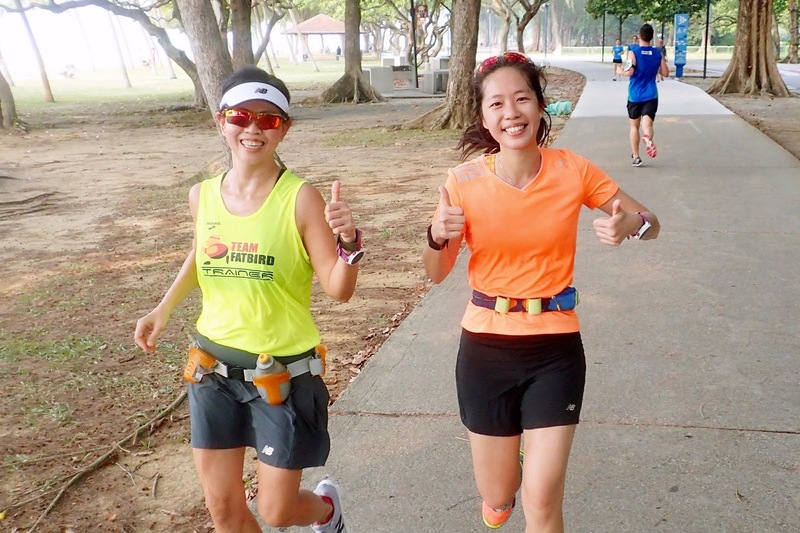 By the time we completed the rolling hills repeat, there was only 10km remaining, which boosted the morale of the Sunbirds – it didn’t seemed too difficult once we had completed the challenge on hand…a good confidence booster for all. The run back along the trails were meant to tax the Sunbirds as they would have expended a fair amount of resources after the slopes. The runners would have to draw on their physical reserves and mental strength to tackle the 5km of trails back to the finish, and that was no mean feat. 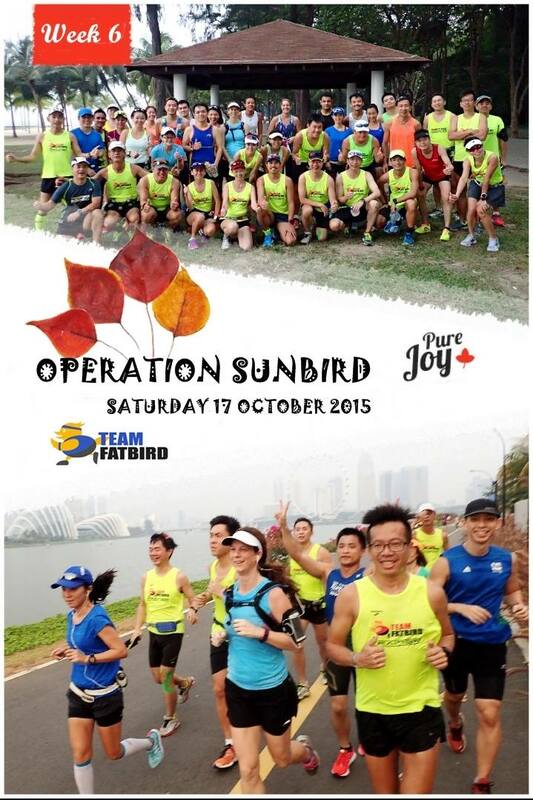 “It was the hardest workout I’ve had in my life”, uttered quite a number of newer Sunbirds. 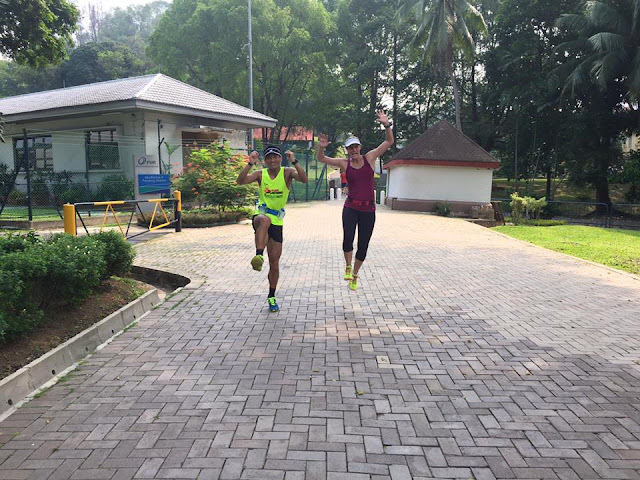 They were glad they overcame the challenge presented to emerge stronger and happier that they have accomplished a tough workout. All the groups completed their morning run by 10:30am, achieving most of the training requirements expected of them in Week #5. The Sunbirds will look forward to Week #6, where we enter the Pace Run Phase, doing longer runs of 70-85% of their race distances at Marathon Pace (MP), conditioning them to eventually sustain a good race pace for the whole duration of their HM and FM races.